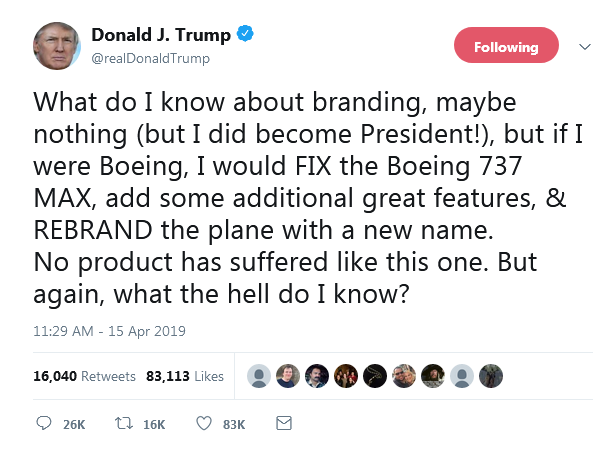 Donald Trump is trending on Twitter after the US president offered some unsolicited advice to Boeing. 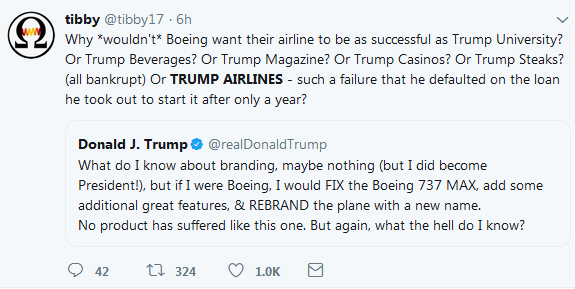 Trump said that if he was in charge of the plane manufacturing company, he would simply sort the company's problems by fixing its faulty 737 Max airplanes and then changed the model's name. 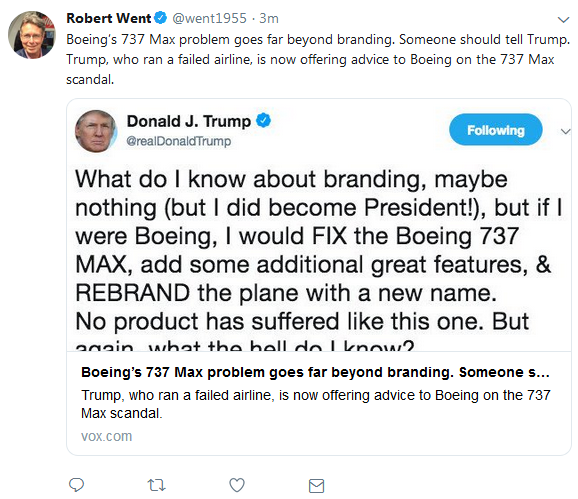 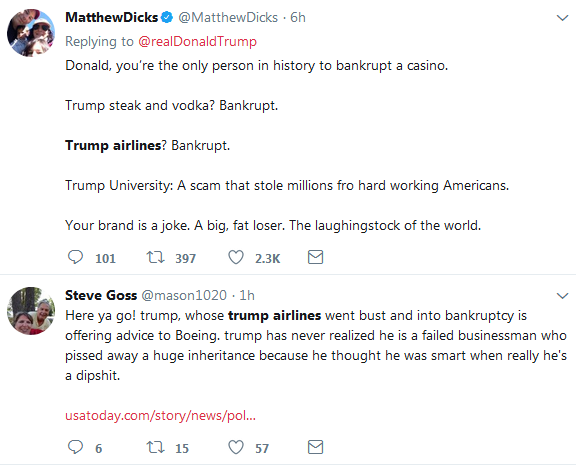 In a tweet, Trump said the best way out of the company's crisis would be rebranding the 737 Max planes. 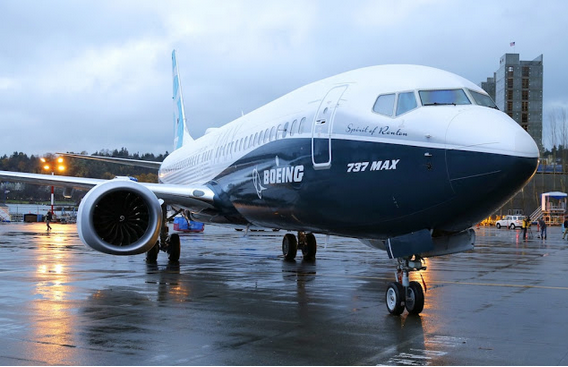 In recent months, two Boeing 737 Max 8 planes has crashed killing everybody onboard. 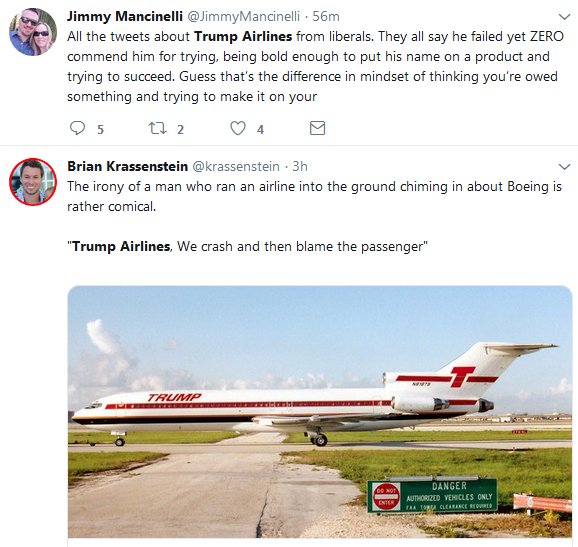 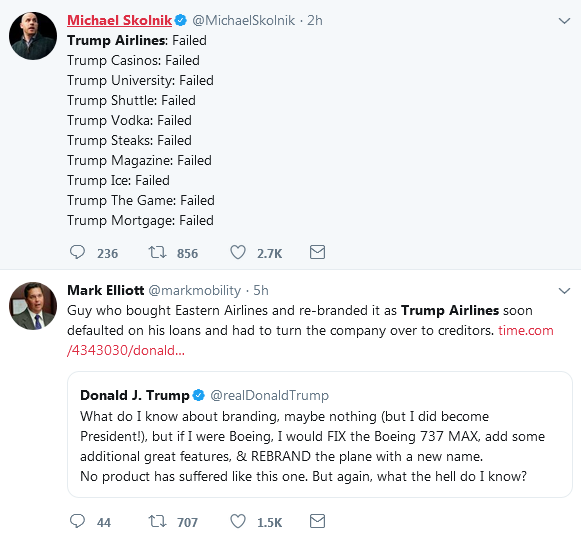 However, some people are mocking the President, saying many of his outfits including Trump Airlines, all failed.